During the course of life, our bodies will inevitably go through several different phases which will naturally affect our skin. Nobody is insusceptible to the inevitable changes our skins undergo as we age. Whether you had a perfect complexion as a teenager, change must occur. From age 35 onward, especially when you are over 50 or 60, the skin tends to lose both elastin and collagen. Elastin is the protein that helps in keeping our skin firm and flexible, while collagen is the protein that keeps the skin supple and smooth. Because of that, mature skin will require more protection and attention. 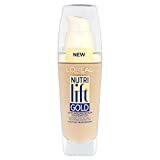 L’Oreal Paris Nutri Lift provides all-over coverage with anti-aging benefits. The blend of hydrating nutrients nourishes skin, reducing the look of fine lines, pores, and redness. Real gold flecks contribute to a luminous, smooth finish that feels light and comfortable to wear. The blendable cream can be layered over moisturizers with SPF or applied directly to the face, and can be used even with oily or combination skin. It also partners well with any brush, sponge or finger application method you prefer. While layering for more coverage in problem areas is possible, reviewers report better results from using the Nutri Lift as a base along with a specific cover-up tool such as under eye concealer. If you like the results you see from use, you may want to stock up: this product can be hard to find as L’Oreal has reduced or discontinued production in some markets. L’Oreal visible lift 160 features a 5-ingredient age reversing serum in a single luminous makeup. The lift serum makeup instantly evens out your skin tone and it is luxuriously lightweight. Combining in excess of 10 years of research plus three patents, L’Oreal visible lift serum advanced age-reversing makeup has been rated by reviewers as one of the best in the market today. The liquid foundation covers blemishes and redness extremely well without leaving behind any fine lines visible under the eyes. It comes with broad spectrum UVA/UVB SPF 17 skin protection. It is a luxuriously luminous, lightweight makeup formula that provides anti-aging benefits, and instantly evens your skin tone without settling into wrinkles and lines. In a short 4 weeks, the potent formula ingredients address a total of 5 aging signs to visibly transform your skin to one that is firmer, smoother, brighter, and flawless. It is suitable for all types of skins and works best on dry, normal, and combination skin. So long as it is applied correctly, you are never going to find fault in this quality product. When using this foundation, very little or no touch-up is required! This lightweight fluid foundation offers natural long-lasting coverage minimising the effects of dull and tired complexions. Presented with a practical pump, dispensing the ideal amount for one application. It offers sheer, fresh and fluid coverage for your skin with an easy to blend formula. It is available in a broad range of shades and contains a number of emollients for moisturising such as hyaluronic acid and conditioning your skin. Chanel Vitalumiere professional looking outcomes that meet the stringent standards required of beauty photography. Comes in a ultra-fine texture allowing the skin to breathe, whilst fine lines and wrinkles are concealed with medium coverage. A more even and radiant Teint, which appears completely natural. Clinique Even Better works double duty as an oil free concealer and damage reversing serum that evens and corrects dark spots over time. After only 4-6 six weeks users report seeing better skin tone even when they’re not wearing makeup. Developed by dermatologists, this concealer includes a broad spectrum SPF 15 to protect against further darkening while providing coverage for light to moderate scars, blemishes, or spots that won’t inflame already irritated skin. The range of tints available is appropriate for all ethnicities and can be flawlessly matched for a perfect blend to your natural skin tone. The gentle formula goes on feeling cool and leaves a velvety soft finish that lasts all day. Vichy’s Dermablend line includes a concealing foundation that can even out any irregularities or pigmented areas of the face. This concealer has such complete coverage that it has been described as a camouflage for redness, age spots or acne as well as other flaws in your skin. The formula has won several awards for its ability to transform moderate to severe facial irregularities into smooth, flawless complexions and restore confidence and radiance to users. 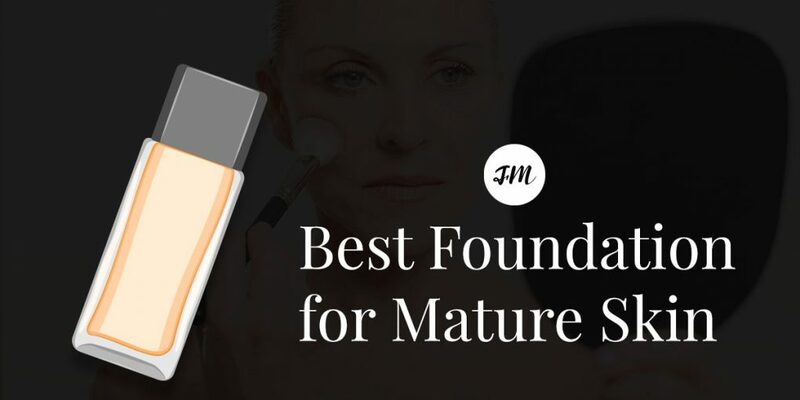 While this concealing foundation is appropriate for all ages and skin types, it works particularly well with aging skin as it can be applied in a thin, sheer layer to the full face, then seamlessly layered onto target problem areas. This allows full coverage without caking on a heavy layer that might accentuate fine lines. Additionally, the SPF 35 it provides helps protect skin from further sun damage. When used with the coordinating setting powder, it can last for a full day without touch-ups. This is a luxurious treatment and care product for women who have darker skin complexion. The Iman Luxury Radiance Liquid Foundation comes with a dozen shades from which you can make your pick. 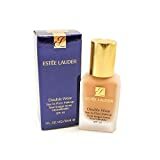 Whether yours is chocolate or caramel skin tone, this liquid foundation has the power to make your skin feel and look totally flawless. Reviews have rated this product as second to none, particularly for the darker skin. It is enriched with minerals for the skin. The oil-free liquid unbelievably flawless foundation has been uniquely formulated using natural vitamins and plant extracts such as Vitamin E, Acai, cottonseed plant extract, and Magnolia. It is enriched using pearlized micro-mineral pigments perfect for your skin nourishment. Iman Luxury Radiance tones and texturizes your skin, giving your complexion a luminescent, even hi-definition finish. You will not only absolutely look great, but also feel luxurious with this well-priced and brilliant product! Heavier-coverage foundations generally have a ‘not-too-good reputation’ of going on a rather thick and deeply pigmented route. Estée Lauder’s Double Wear doesn’t experience that. Coming with a base of water and silicone, it slips flawlessly than many people would expect and it sets nicely on your skin almost immediately. When you smooth it on using a brush or fingers, it instantaneously gives medium coverage, and when you stipple it using a sponge or flat-top brush, it creates fuller coverage over acne scars, blemishes, and skin discolouration. The matte finish is realistic and in fact, a number of product reviewers have recommended double cleansing as it could become challenging to remove. That is the kind of strong protection it offers! Cakiness won’t become a problem so long as you to keep blending. Double Wear Stay-in-Place Makeup has broad appeal because the non-acnegenic formula doesn’t clog your pores, while the gentle matte finish effectively delays oil from possibly breaking through. The coverage provided feels light and doesn’t come on feeling like a mask. Because it is available in 30 shades, it convincingly disguises all manner of skin imperfections. There is really no type of skin that Double Wear will not work for, even when you are over 60! Great leaps have been made in the production and wider accessibility of high-quality makeup products. Many have observed that getting the best foundation for mature skin can at times be comparable to winning the national lottery. This is because we now have more products to choose from and due to the fact that more than any other type of beauty product, your foundation has the potential of making or breaking your entire look. The process of trial and error in trying to get the perfect formula, product or brand can be arduous. When it comes to the choosing the best makeup products and brands, there are thousands of products to select from. That’s why we’ve reviewed the above best products and brands to give you a credible buying guide, designed to inform, educate, and advise you on the various available options. The beauty industry has recently witnessed a dramatic upsurge in the number of products and brands that are targeting the older woman. Whenever you open the pages of any glossy magazine, you are instantly bombarded with the endless flawless faces of young women, sometimes teenagers who are promoting the amazing wonders of the cosmetic and beauty world—when even the products these girls are fronting are entirely not suited to their stage of life or age. The question then arises as to how an older generation of women are supposed to have any level of confidence in such products which are promoted by teen girls who are obviously light years away from ever experiencing problems and signs of aging themselves? The truth is that older women will have little faith in such brands or products as they address the concerns of younger women in their 30s. Meanwhile, many women who are 45+ have been left discontented and somewhat overlooked. Nevertheless, today, there is a gradual appreciation of age that has since seen a shift in focus. This has brought into prominence, a number of smaller, certainly more bespoke beauty brands specifically catering to the older woman market in both skin care and makeup. If you want to try something new, opt for established brands. According to Aimee Blakemore, Stratum C Brand Manager, menopause is a fact of life, but that doesn’t mean it needs to take the glow out of your skin. A uniquely developed brand, Stratum C has been designed to tackle the intimidating menopause signs and the havoc brought into a woman’s life by this phase of life. The Stratum C range of Menopause Skin Care products was developed after studies conducted by the UK leading university indicated that a special concentration and combination of peptides, including Matrixyl help in stimulating higher levels of your own body’s collagen. Different from lots of lotions and creams on the market today, the Stratum C products have specifically been made for women experiencing the menopause phase of their life after age 50. The product range contains ingredients designed to moisturize as well as hydrate the skin, replacing those lost nutrients and vitamins. Coming with a wealth of experience and backed by scientific knowledge, the Stratum C range of products cover everything from eye serums and hand creams to night masks and gentle cleansers; products that have been proven clinically to improve skin tonicity and reduce wrinkle visibility. Yes, a daily Stratum C dose will certainly leave you feeling fuller, fresher, and utterly rejuvenated. Founded by Tricia Cusden in 2013, a semi-retired businesswoman, Look Fabulous Forever is a ‘pro-ageing’ feel-good company that seeks to celebrate the older woman’s beauty, without having to be too concerned about that odd wrinkle or two. According to Tricia herself, as she grew older, she found it more and more challenging to find products that worked for her own older skin. Keen to come up with some of the most genuine brand possible, the Look Fabulous Forever pro-age mantra is evident through the business. For that reason, everyone on the production set is actually within the age of their target market. As a matter of fact, the resident makeup artist is now over 60 and most of the models are Tricia Cusden’s colleagues and friends. These are real women having no technical or cosmetic enhancements. The goal is to be truly realistic and happy in their current status, not trying to look younger, but just feel and look wonderful at an older age. The products are designed to cover broken veins, age spots, and simply restore vitality. It is for beauty lovers seeking to recapture their makeup mojo. Studio 10 has been aptly described as the ‘Spanx for the face’ by reviewers. It seeks to lift older over 50s out of their beauty misery and delves deep into the aesthetics side of feminine makeup. According to founder Grace Fodor, essentially creating a ‘facelift’ approach through the makeup route was what brought the brand inspiration. She wanted to explore possibilities of professional artistry ‘aesthetics’ and create a range of beauty products that would accord the older women the power to appear and feel look younger. Grace understands that as you age, skin gets transformed and she has worked with dermatologists and globally recognised makeup artists towards creating a bevy of quality beauty products. These have been proven to correct, disguise, and combat aging signs. For example, the Visible Lift Face Definer has fast grown into a cult classic and very popular amongst industry insiders. In making the Alima Pure brand, only the finest grade minerals have been used. The collection of makeup products includes mineral-based powder foundations, highlighter, bronzer, concealer, and blusher. The eye shadow range includes a variety of rich colours, eyeliner pencils, plus mascara, and 6 lipstick hues. Along with the mineral powders, the Alima Pure brand offers the most wide-ranging range of makeup brushes compared to other brands. These products work wonderfully well on all types of skin, from dry to acne, and even the sensitive ones. They are breathable, gentle and also beneficial in case the user has Cosmetic Intolerance Syndrome (CIS) or rosacea, and they free of bismuth oxychloride (BOC). The zinc oxide and titanium dioxide in the foundation offer some level of SPF protection from sun exposure. Alima Pure have come up with a number of cool foundation selection and application tools. Alima Pure brand is certainly the dream of every girl or makeup artist. My name is Emilie Hagstörm. Born and raised in Stockholm, Sweden to a Swedish Father and an English Mother. With a background as a Pharmacist, I use a scientific approach to research what REALLY works. When you read one of my beauty reviews you’ll know that it is honest and unbiased because I don’t work for a make-up retailer or manufacturer, and I’m completely independent. This is my favourite and top pick. Read more details and check out what other users are saying. Famousmakeup.co.uk is a participant in the Amazon Services LLC Associates Program and Amazon EU Associates Programme, an affiliate advertising program designed to provide a means for sites to earn advertising fees by advertising and linking to Amazon.com and Amazon.co.uk. Additionally, Famousmakeup.co.uk participates in various other affiliate programs, and I sometimes get a commission through purchases made through my links. The information contained on Famousmakeup.co.uk is intended for informational and educational purposes only. Any statements made on this website have not been evaluated by the FDA and any information or products discussed are not intended to diagnose, cure, treat or prevent any disease or illness.